Now that Spring has arrived, it’s time to get out your rooms, enjoy the weather, and take in some sun. During this time of the year, seniors everywhere want to make the best of this season. Some seniors like to go out for walks or trail hiking. Other seniors like to spend time at the beach, playing with their friends and relatives. And other seniors just like to get some exercise outdoors by playing golf or tennis. And there’s another spring activity that active senior living communities everywhere are enjoying, gardening. 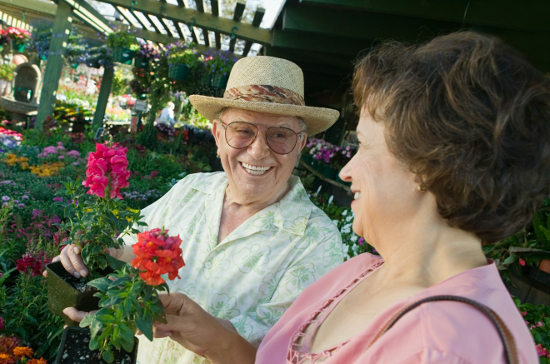 Gardening in the springtime is a timeless tradition for many people, including seniors. Being in the sun and planting a small array of flowers, fruits, and vegetables can bring a lot of good in your life. However, aside from growing pretty flowers and tasty vegetables, gardening can give a lot of benefits that many seniors didn’t know of. A healthy amount of exposure to natural sunlight can help seniors get an adequate amount of Vitamin D. Vitamin D is something that most seniors aren’t getting due to an increase in sedentary lifestyles. Because of the less intake of Vitamin D, seniors’ calcium levels are lower, thus meaning weaker bones and immunity systems. 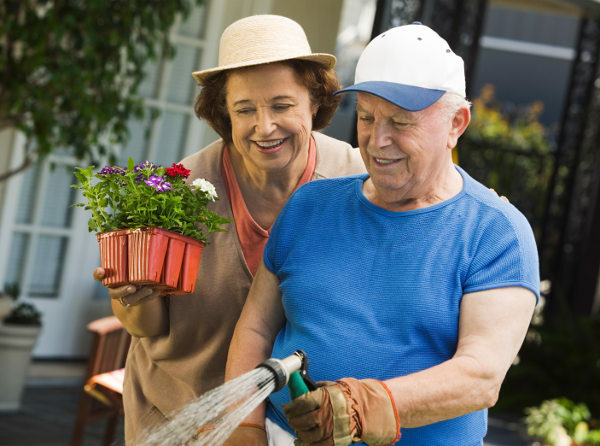 Because of this need for natural sunlight, enjoyable outdoor activities like gardening are encouraged for all seniors. Just make sure to wear a good amount of sunscreen and wear proper sunglasses for protection. A study in 2012 found that seniors who are diagnosed with dementia had improved behavior thanks to therapeutic gardening. Being around flowers, plants, and trees caused reduced agitation and aggression. Because of gardening, seniors struggling with dementia had a better quality of life. A study in the Netherlands found out that stress levels in people (especially those in senior living communities) can be toned down thanks to gardening. These days, people are suffering from “attention fatigue” which is when a person is stressed from paying attention at all times. This is usually caused by technology like cell phones, email, etc. 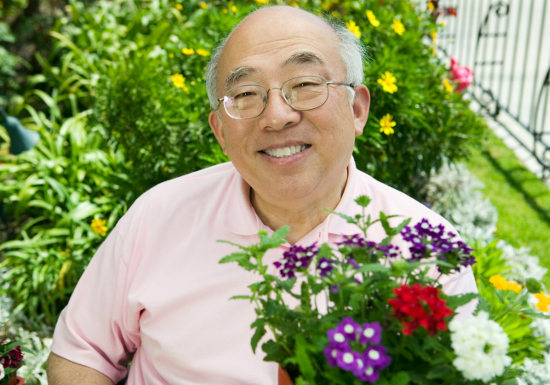 A more relaxing, easy-paced activity like gardening can help seniors relax. From pulling weeds to reaching for certain plants or tools to watering each plant, people don’t realize that gardening is an exercise that is equal to aerobics. Gardening provides the same types of exercise you’d see in an aerobics class. It encourages endurance, flexibility, and strength. Just like aerobics, seniors should be encouraged to stretch, start slow, and then go at their own pace. For people in senior living communities (especially ones who just moved in), there’s always the struggle of the feeling of loneliness. Mainly because seniors feel like they might not fit in with the other residents. However, gardening can bring people together and work towards a common goal (like making a variety of vegetables or flowers for later consumption). As previously stated, gardening can help seniors in many different ways, especially when it comes to socializing with others in your community. In the past few decades, both independent and assisted living communities can be implementing ways for seniors to use their green thumb. Many senior living communities have implemented a community garden for their residents to enjoy. That way, their residents can come together, grow some plants, and harvest the goods when the time comes. Because they want to encourage seniors to partake in the garden, they often install raised beds and senior-friendly pathways, offering accessibility for all. Additionally, some of tools, seeds, and other gardening essentials are provided by the community. Also, local business tend to donate gardening essentials to senior living communities in their area. Thanks the efforts of the residents and the staff, everyone can enjoy in the bounty and socialization provided by these gardens. For seniors that want to have their own small gardens, many senior living residents’ homes have small containers for their own use. That way seniors can have total control over what they want to grow, like herbs for cooking, flowers for decoration, and vegetables/fruits for later consumption. Whether you’re using community gardens or planting your garden in small containers, seniors can benefit a lot from gardening. So get up, get outside, and get that green thumb growing!